On 20-Mar-15 we made a significant step towards reaching our goal of improving access to, and use of, ORS and zinc for the treatment of diarrhoea. Our pharmaceutical partner in Zambia, Pharmanova, got its first public sector order to supply of 452,000 co-packs, based on Kit Yamoyo, to be distributed by Government of the Republic of Zambia (GRZ) through the Ministry of Health. This is a massive order. If the lives-saved algorithm for the COTZ trial holds true – three lives saved per 1,000 kits used – this could save 1,350 lives: a significant contribution to avoiding the 5,000 deaths that occur from dehydration from diarrhoea in Zambia each year. These kits will be distributed by Medical Stores Limited over the next 18 months and will reach 11 of the most remote districts in Zambia and those with the most significant malnutrition problems, which are being targeted by the Scaling Up Nutrition (SUN) programme. 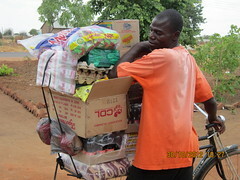 SUN is funded in Zambia by DfID, Irish Aid and the Swedish government. As part of ColaLife’s strategy to hand over to local organisations, our partner Keepers Zambia Foundation (KZF) is leading the project – which has both public and private sector distribution arms. There are more details of this project (KYTS-ACE) here. 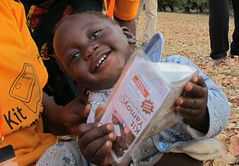 Under the SUN programme, the health centres in some districts (the detail is here), will make the new GRZ ORS and zinc co-pack available for free, while the branded version (Kit Yamoyo), which also contains a small bar of soap, will be available in the private sector – mainly via small village shops. In some districts, there will only be public sector provision, and in others, only private provision. It will be interesting to see how private sector sales perform in these circumstances. Our hunch is that they will perform quite well as many carers (mostly mothers) will opt to avoid the queues and long travel times involved in obtaining the treatment for free and will buy from their local shop. The key point is that this choice will be available to them. And how will the kit fare in the public sector? Will we see ‘leakage’ (i.e pilfering) of free product into shops? Will the kits be broken up to sell contents separately – thus destroying the power of the combined medicine and the ability to measure correctly? This didn’t happen in the trial, as our trained retailers understood the value of the product, looked after it well, and sold it on intact. Regular readers will know that our key focus has been on supply through the private sector and it’s this that has captured the world’s imagination. This will remain our key focus. We see this order, funded by donors, as a windfall to help Pharmanova get manufacture and sales established. Why ‘a windfall’? Well, there may be similar orders in the future, but given the vagaries of donor funding, and the huge demands on limited Ministry of Health budgets, they will be hard to predict. However, this order does provide a significant anchor client to Pharmanova for the next 18 months, thus providing a firm foundation, while private sector sales become established. We knew it was going to take some time for private sector sales of Kit Yamoyo to deliver the large volumes needed to keep production prices down. But because of this new, big order for GRZ co-packs, economies of scale come into play straight away. As a result, Pharmanova have been able to cut their gross margin (gross profit) for both product lines: this will help keep the retail price for Kit Yamoyo down, while ensuring that everyone along the value chain makes a reasonable profit. 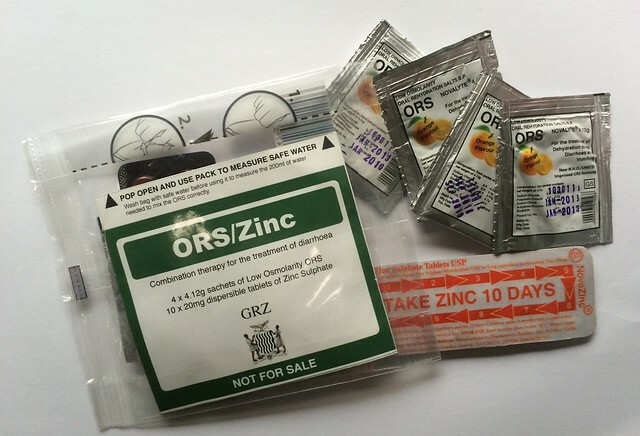 The supply of co-packaged ORS and zinc in the form of the GRZ co-pack will overcome all of these issues and provide a stimulus for re-training and a re-focus on diarrhoea treatment in Zambia. Repeat orders from the public sector will be excellent but I think as ColaLife also wants, if Kit Yamoyo can establish itself on its own strength ( that is more people start recognizing the kit and its benefits, thus creating more private demand for it), then surely it will be an even bigger success. I am sure this order will increase visibility of Kit Yamoyo thus bringing the above goal even closer.